The Solid Signal Blog has about 5,000 articles at the time I’m publishing this. That’s going to seem overwhelming if you’re new here. So where should you start? If you’re looking for a quick and concentrated dose of product knowledge, the best place to start is our list of “Ultimate Guides.” You’ll find well over 200 articles covering satellite TV, antennas, networking, troubleshooting, cellular boosters, and more. It’s the perfect starting point for someone looking to diagnose a problem. 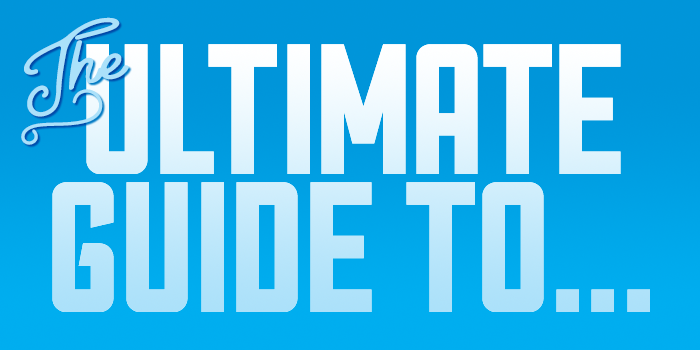 Each Ultimate Guide has tons of articles, clickable links, and PDFs to help you learn what you want to learn, quickly. If you go to the menu and click on “Tutorials,” you’ll see all the tutorials and believe me there are a lot. But if you hover on it (or tap on it on a mobile device) you’ll see a few categories. 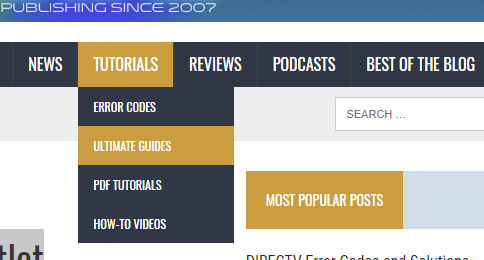 Our list of error codes is the most popular article here at the blog, and below that you’ll find not only ultimate guides, but a complete list of our PDF tutorials. You’ll want to check out both. Or, you can bookmark this page because I’m giving you an easy link to our guides. Or, of course you could bookmark that page directly. It’s up to you, I won’t judge. Look, I make no bones about it. The Solid Signal Blog is operated by Signal Group, LLC. The Blog’s very purpose is to let you know about the great products you can get at SolidSignal.com. It’s my purpose to give you all the resources you need to get your DIY or professional installation done, and if you buy the products from us, that’s all the better. In fact I’d sure appreciated it if you would. Can I get local channels in my RV?